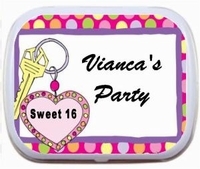 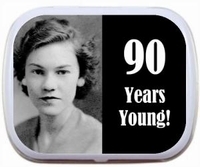 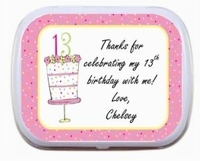 Personalized Mint Tins make the perfect party favor. 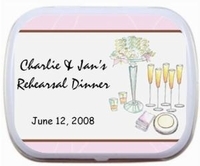 Give your guests a keepsake that will last long after the party is over. 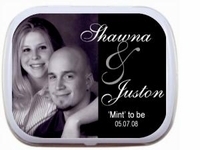 Mint tin favors are a tasty treat for your guests. 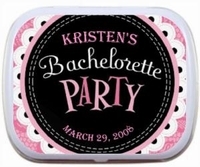 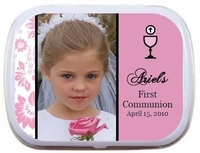 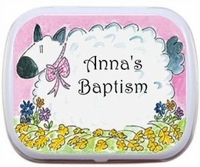 We offer personalized tins that are great for Weddings, Bridal Showers, Baby Showers, Bar Mitzvah favors, Bat Mitzvahs favors, Sweet 16 parties, Birthday favors, Christening favors, Baptism favors, Communion favors and tons more! 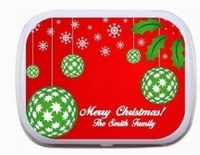 Our personalized tins come in 2 sizes. 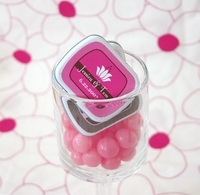 Palm size, and Altoid size. 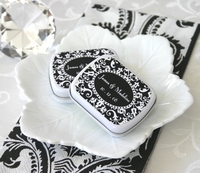 You have a choice of tin color, white, black, or silver, and a choice of mints. 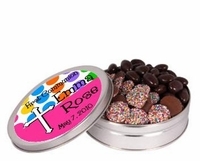 Feel free to email us info@candyundercover.com or call us toll free at 877-235-2828 if you need assistance in choosing your design, or if you have any questions.